Adrian, an established sales leader with over 25 years\-\- experience in developing global and multinational accounts, across a wide range of emerging networking technologies, will be responsible for driving growth through direct customer engagements as well as leveraging channel, service provider and technology partnerships. Stephen, who has 20 years\-\- experience of working in the IT industry in UK and EMEA, spanning service provider, enterprise and channels, will be responsible for growing revenues through A10\-\-s EMEA partners and supporting customer go-to-market initiatives in EMEA. Adrian Taylor joined Cisco in 2000 working in the service provider team where he always looked to challenge the status quo, an approach which quickly elevated him to regional sales manager and then head of Cisco\-\-s channel partnerships for the Middle-East and Africa. In 2006, as Cloud Computing started to emerge, Adrian headed up a strong Cloud push for Cisco in EMEA markets. Adrian has since been in senior management positions, responsible for driving software sales growth and transformation strategies for networking vendors and is looking to take this knowledge to drive change and find new and disruptive routes to market at A10. Stephen Dallas has proven experience creating strong partnerships across EMEA, having started his career at Scom before moving to Cisco where he held various channel leadership and sales roles. Stephen spent 9 years leading indirect EMEA channel sales and working with distribution and tier 2 partners. He led the launch of Cisco\-\-s new Hyper Converged and Software Defined Storage platforms in EMEA, part in thanks to the strong EMEA sales and channel teams that he built. 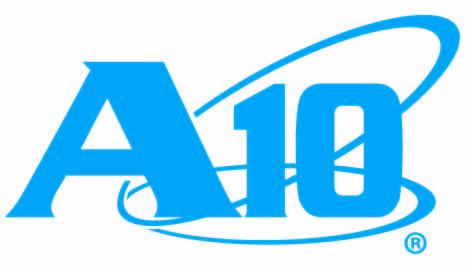 At A10 Networks, Stephen will be responsible for creating and delivering new initiatives to strengthen channel relationships that lead to new customer acquisition through partner recruitment and enablement.